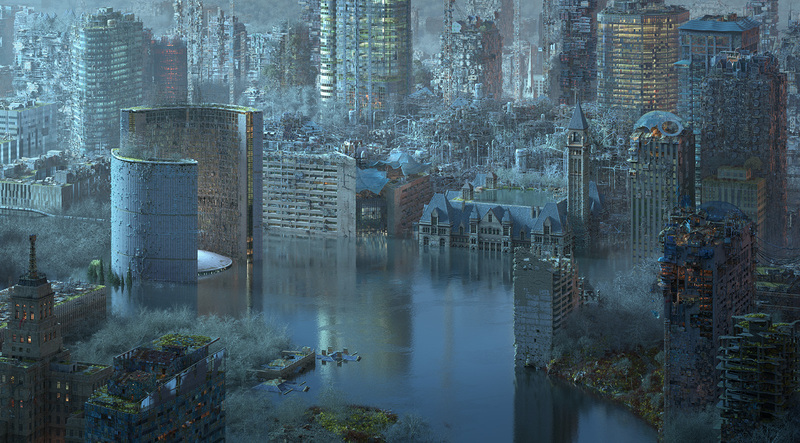 Artist Mathew Borrett's imaginative take on downtown Toronto in a parallel universe from his Hypnagogic City series. Toronto’s Nathan Phillips Square lies in ruin; its famed ice rink torn up and overtaken by a beaver pond. 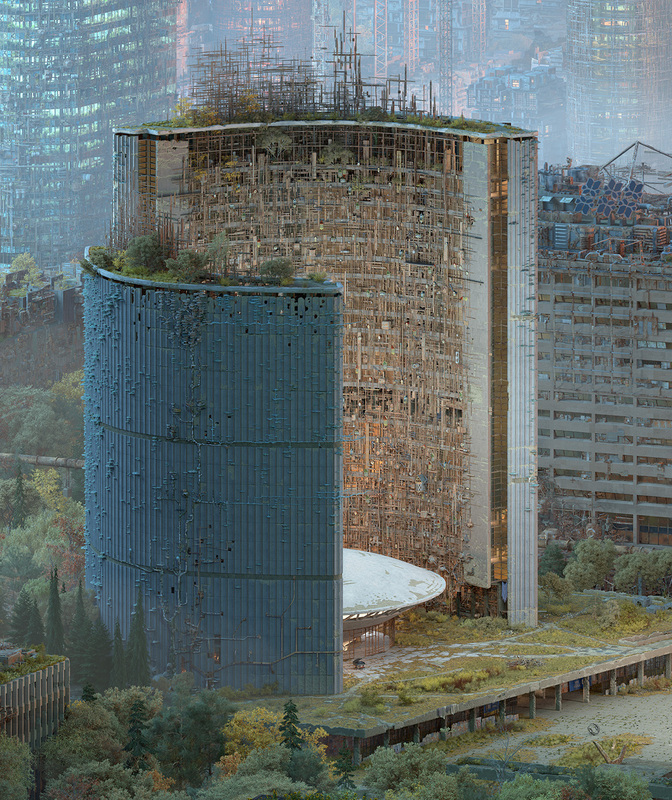 Beside it, a repurposed city hall is in slow decay and covered in fungus. 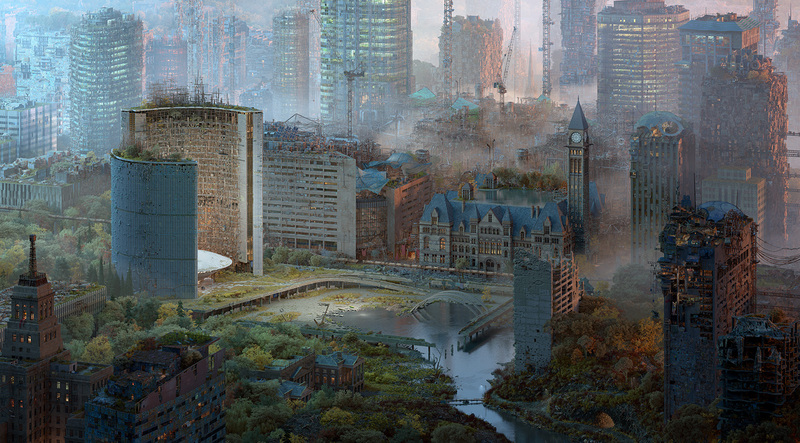 In Mathew Borrett’s parallel universe, nature has once again reclaimed Toronto. 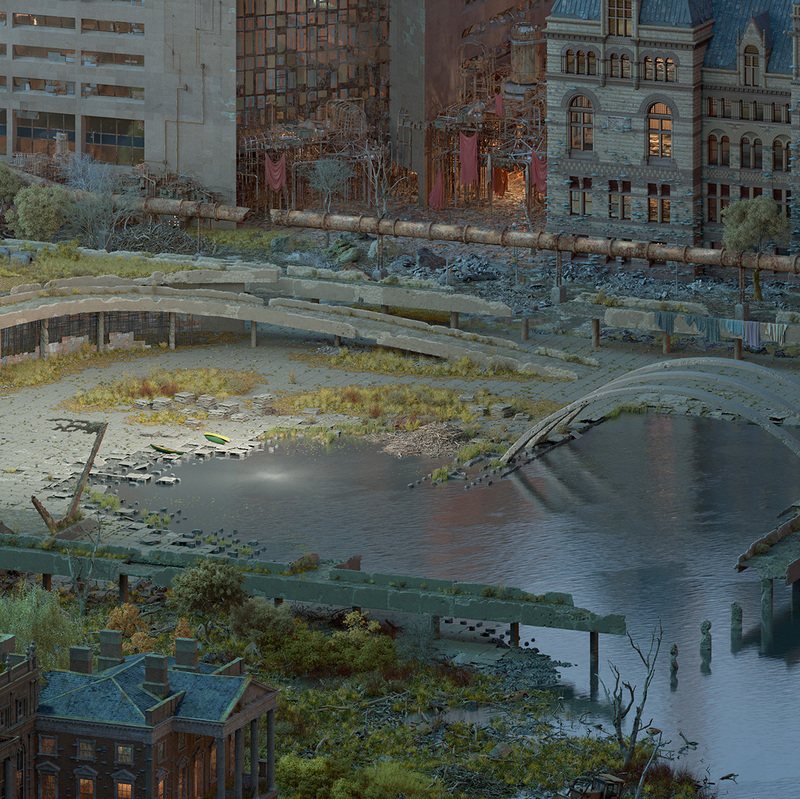 That’s the basis for Hypnagogic City, the Toronto-based artist’s latest exhibition housed at the Red Head Gallery until March 25. (Hypnagogia is the transitional state between wakefulness and sleep.) 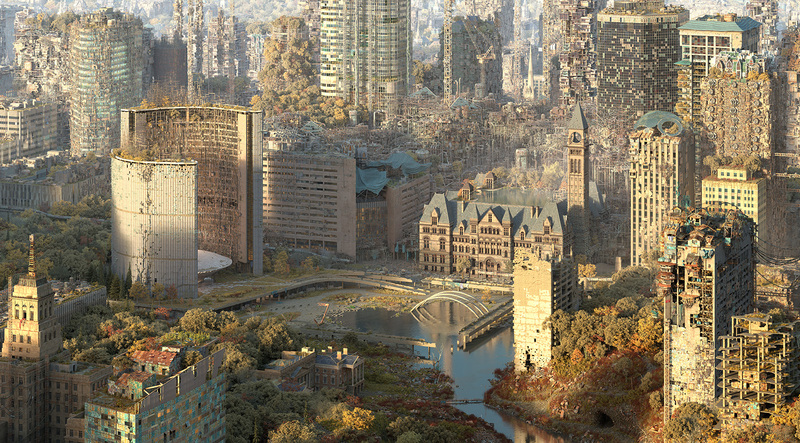 Using a publicly-available model of the city, Borrett transformed the landscape into a hyper-detailed depiction of Toronto’s civic centre in an alternate universe where crumbling buildings are slowly being devoured by nature. 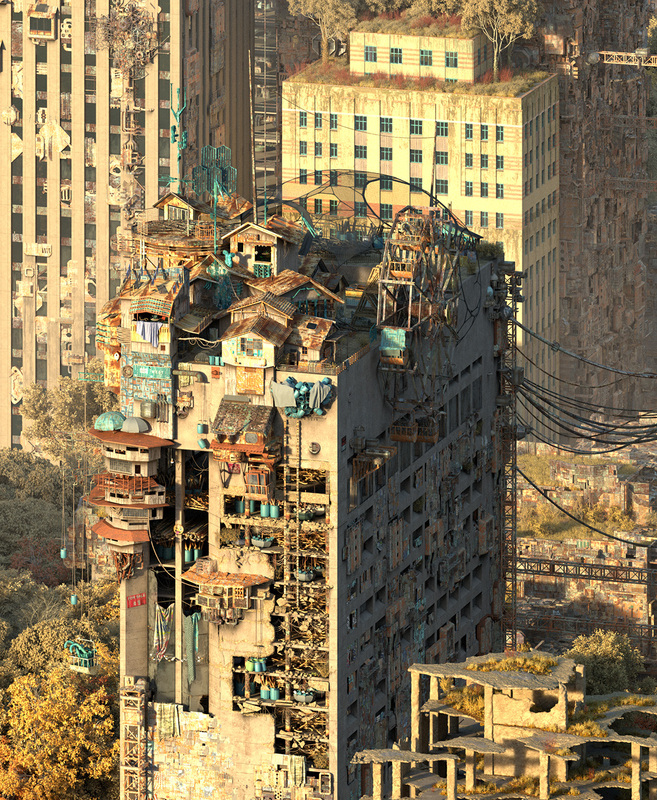 Here, Borrett shares the two main pieces in the collection, along with three detailed crops and an exclusive variation showing a creeping Lake Ontario drowning the downtown core.